Got plastic eggs leftover from Easter? 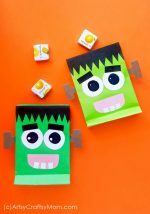 Turn them into cute aliens with our Plastic Egg Alien Craft! Add googly eyes, pom poms, a pipe cleaner & you’re done! Tired of kids spending all their free time in front of a screen? 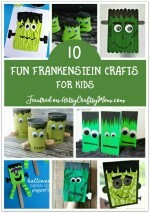 Maybe you’d like to involve your kids in crafts but everything seems too complicated and intimidating. 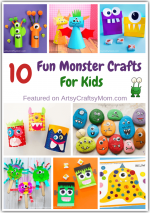 I can imagine that any kid (or adult) would be put off by a project that seems too sophisticated, and to be honest, it does take away from the fun of crafting! Simple’s always better, and more so when it comes to crafts. 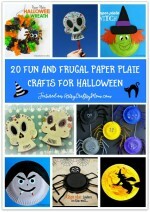 And if you can make use of craft supplies you already have at home, even better! That’s the entire idea behind our recycled plastic egg alien craft for kids. 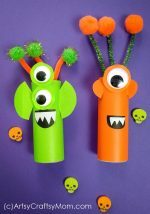 Gather your leftover plastic eggs from Easter and create an army of cute little aliens for yourself! 1. Separate the two halves of the plastic egg. Pierce two holes in the top part and insert a pipe cleaner through it. 2. Stand the top half upright and cut off any excess pipe cleaner. 3. Twist the pipe cleaner antennae together and stick on the tack it tabs on the ends. 4. Stick two pom poms on the tack its at the ends of the pipe cleaner stem. 5. Attach the two halves of the egg together. Stick a large googly eye in the center of the top half and draw a smile with a paint marker. 6. Add details like spots with chalk or neon markers. 7. Attach a tack it piece at the bottom of the alien eggs so they can stand upright. One eyed aliens never looked cuter! 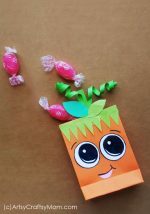 If you’d like to try some more alien crafts (with any number of eyes), check out this friendly aliens art project, our cardboard tube aliens, potato print monsters as well as these quirky treat bags. Looks like you can make aliens out of anything!